Production designer Sarah Greenwood and costume designer Jacqueline Durran could each score two Oscar nominations for two very different movies. 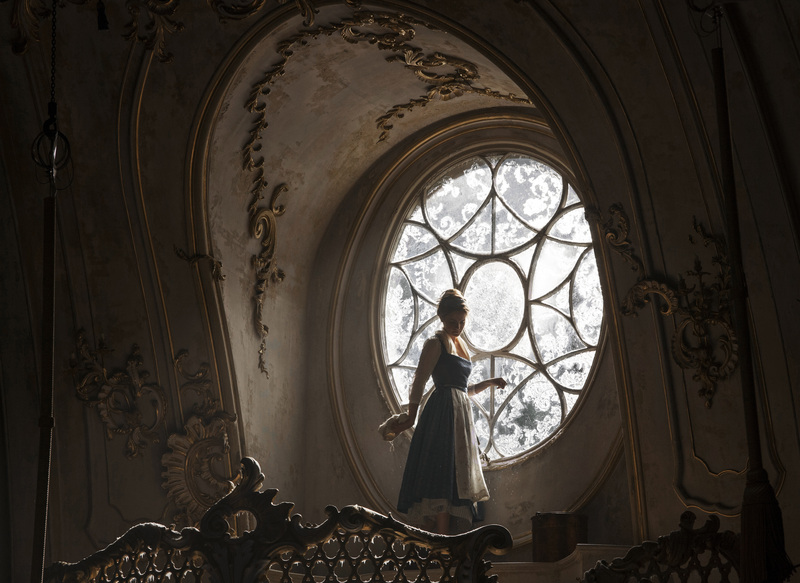 While “Darkest Hour” and “Beauty and the Beast” are worlds apart in visual design and fashion, there’s no mistaking the meticulous period craftsmanship of the team of production designer Sarah Greenwood and costume designer Jacqueline Durran. 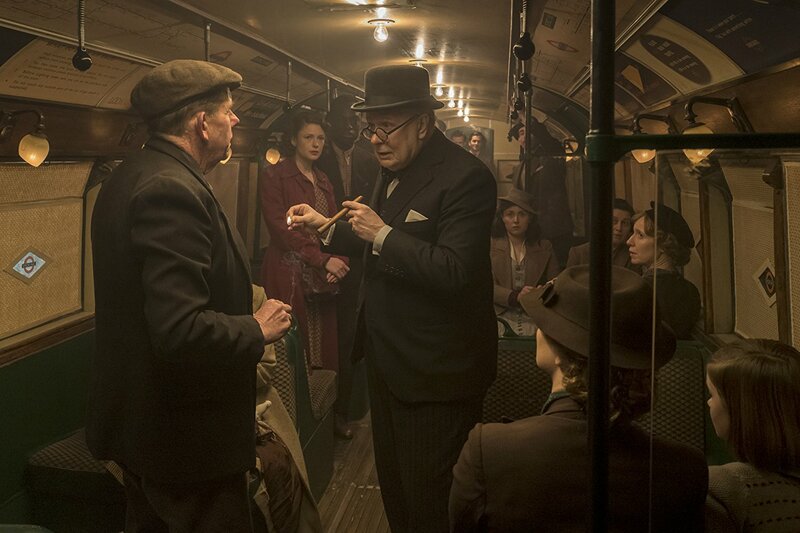 Whether it was recreating war-torn London of 1940 with a sense of heightened reality or transforming the animated Disney fairy tale into believable fantasy, they are among the best at depicting character through environment and wardrobe. And this year they each have two chances to grab Oscar nominations after working on seven movies together. 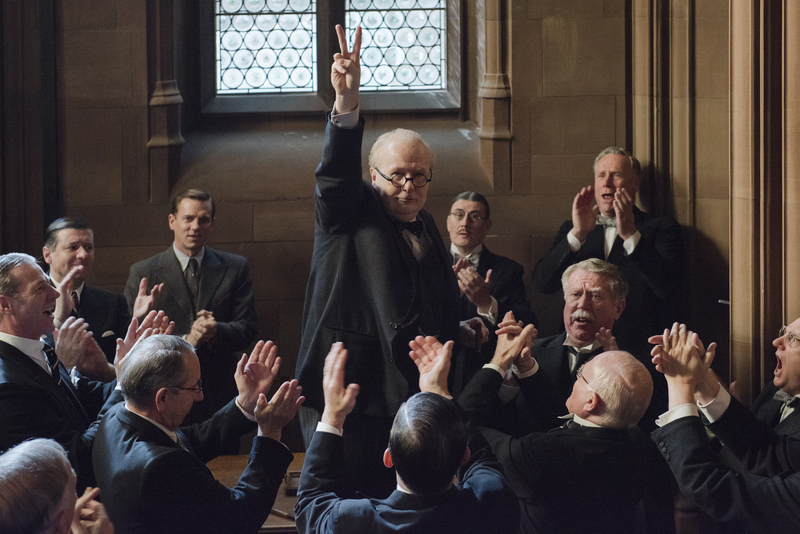 For director Joe Wright, “Darkest Hour” was a dance of dark and light, as Winston Churchill (Oscar frontrunner Gary Oldman) comes in from out of the shadows to become prime minister of Great Britain to combat the growing threat of Hitler. “The challenge was to recreate historical London in a way that looked authentic yet seemed to fit within the era,” said four-time Oscar nominee Greenwood (including “Anna Karenina,” “Pride & Prejudice,” and “Atonement” with Wright). That meant having some stylistic freedom to play with mood in the look of Parliament, Buckingham Palace, Downing Street, and the underground War Room. It was also about showing a secret, ad-hoc side to London, via the underground bunker used to plot the war. Instead of recreating the actual linear space of the War Room, they went for more of a maze. For Churchill, Durran tried to replicate what he wore at the time by visiting the companies and tailors that the prime minister frequented. 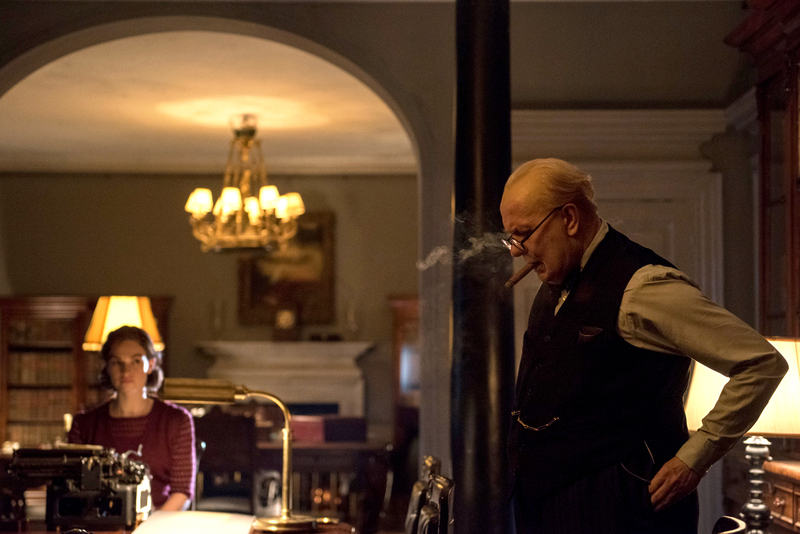 Henry Poole made suits for Churchill and the costume designer had him fit Oldman as well. 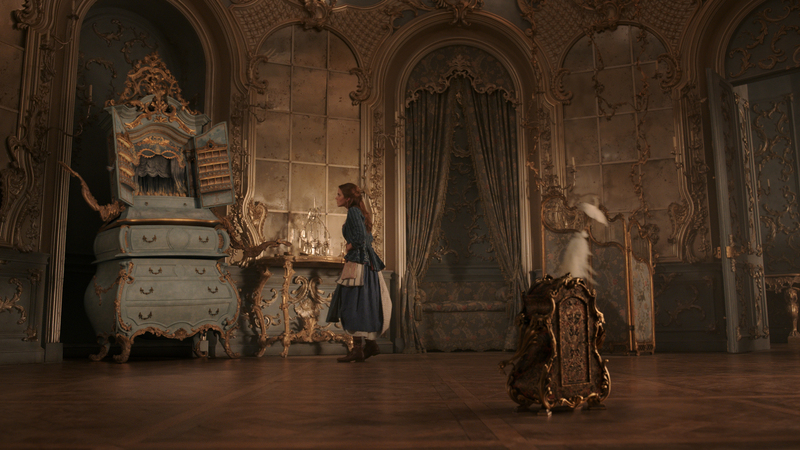 For Bill Condon’s live-action re-imagining of “Beauty and the Beast,” starring Emma Watson as Belle and Dan Stevens as the Beast, Greenwood and Durran had a real target to research and play with: France in 1740, when Jeanne-Marie Leprince de Deaumont wrote her famous fairy tale. For the Beast’s castle, Greenwood dabbled in Rococo styles. “Even though the castle was enchanted, Bill wanted it to have a dark heart, which was the Beast’s lair. And each place had a different feel to it, like the ballroom or the library,” added Greenwood. The ballroom offers a different mood each time, from the opulent opening to the frozen dead place, to the reawakening by Belle’s presence for the iconic dance. However, translating the animated household objects presented the biggest challenge in terms of reflecting their personalities along with the period. 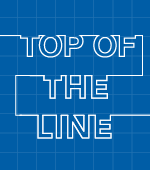 There were some new wrinkles: Plumette (Gugu Mbatha-Raw), one of the castle maids, has been transformed into a feather duster that can fly, and Chip (Nathan Mack), the tiny teacup, glides like a skateboard. “You needed to think about how you were [quickly] going to get around that space,” said Greenwood. For Belle’s costumes, Durran needed to be authentic without jolting. She retained the essence of her blue village dress with modification. “We gave her a bit of period detail, and we added things to the interpretation of Belle that Emma wanted to put forward, which was a more active heroine,” said Durran. 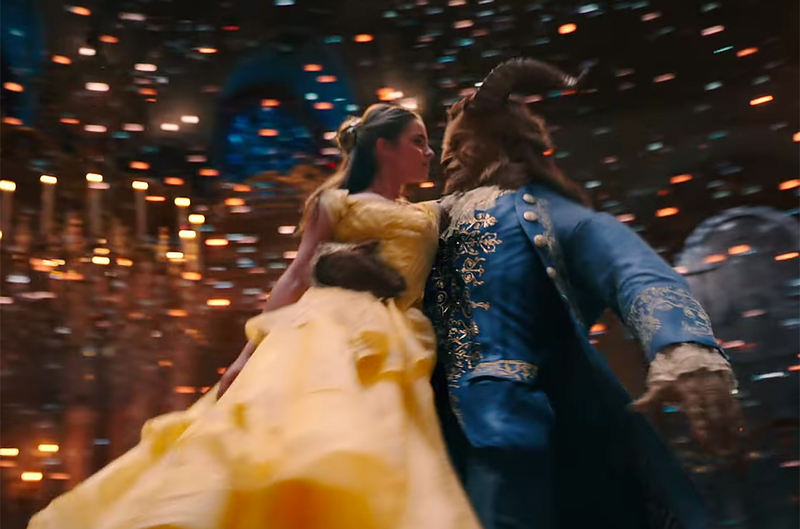 The same active concept was applied to the yellow dress, which had softer fabric so Belle could believably dance and ride a horse. And Watson preferred not to wear a corset for comfort and to look more active. For the Beast, which Condon decided to make completely CG (with the aid of performance-captured animation by Digital Domain), Durran began with a ragged coat that totally obscured him and then progressed to a white shirt and jacket. “The Beast was in different shades of blue throughout, and then, stage by stage, he becomes more and more human,” she said.